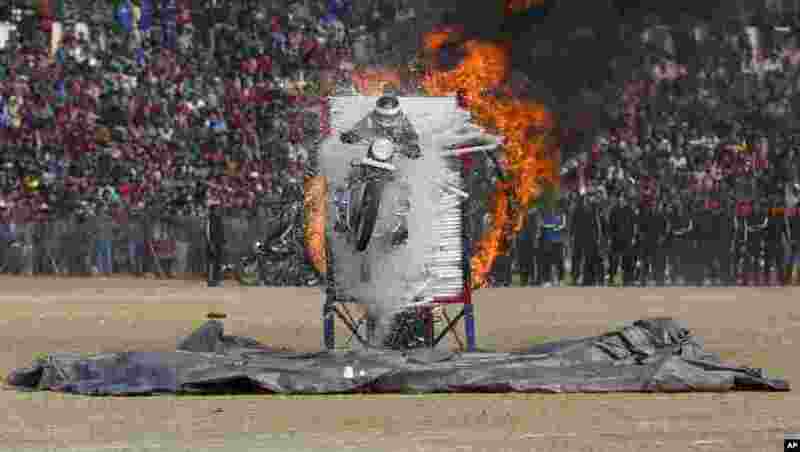 1 A Jammu and Kashmir state policeman performs a motorcycle stunt during the Republic Day parade in Jammu, India. 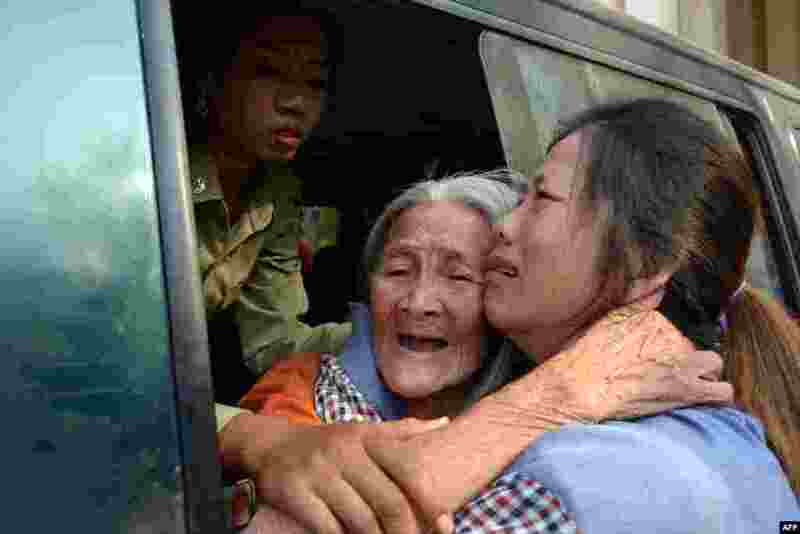 2 Cambodian land rights activist Nget Khun (C), known locally as "Mommy", hugs her daughter (R) through a window of a prison car at the Appeal Court in Phnom Penh. A Cambodian court upheld convictions for 10 female land rights activists and a defrocked Buddhist monk and reduced the one-year sentence for most of them. 3 Bishop Libby Lane (foreground) is applauded as she leaves York Minster in northern England following a service to consecrate her as the new Bishop of Stockport. 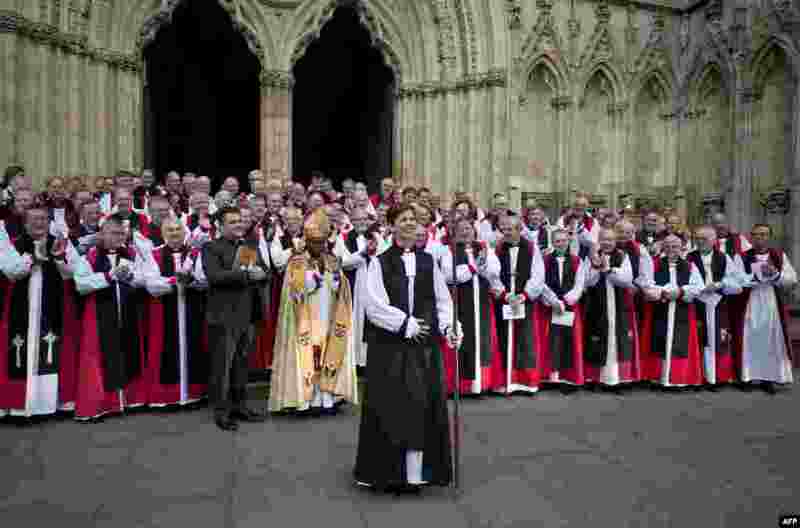 The Church of England ended centuries of male-only leadership when it consecrated its first female bishop in the face of fierce opposition from traditionalists. 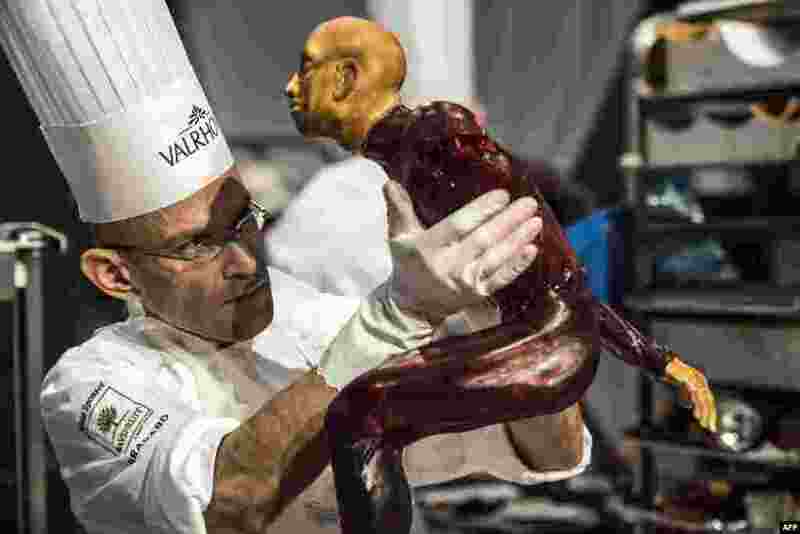 4 Pastry chef Javier Mercado of the UK competes during the Pastries World Cup final as part of the Catering and Food International Show (SIRHA) in Chassieu, outside Lyon, France.